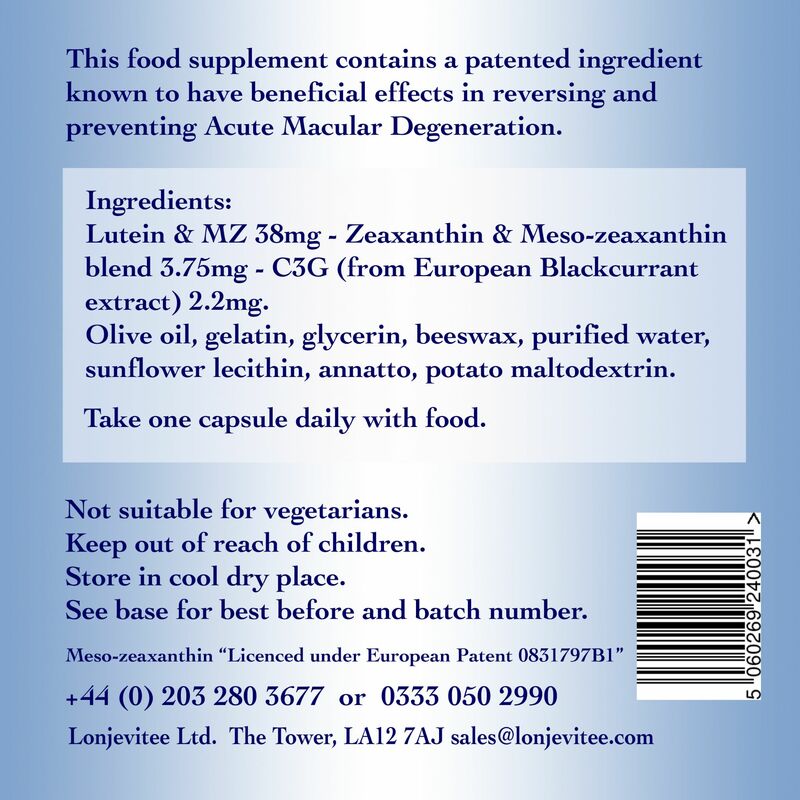 A food supplement for maintenance of naturally good eye health containing lutein, zeaxanthin and meso-zeaxanthin. Packed in a resealable stand-up pouch. Cut delivery charges by ordering this product packed in a pouch. I was diagnosed with early onset AMD and Cataracts in November 2015. I used Lonjevitee Advanced Eye Drops 8 times a day plus one Advanced Eye Capsule (Lutein, Zeaxanthin and Meso-zeaxanthin). In Spring 2016 I had a very thorough eye exam, drops to dilate pupils and everything needed to check every aspect of my eyes. I was told that there was no longer any sign of either the cataracts or the AMD. I now use the eye drops 4 times a day and will continue to take one eye capsule daily. Got rid of macular degeneration in 8 months with these fantastic eye capsules. Tried some from a different company and my eyes got worse so came back to Lonjevitee knowing theirs definitely worked.